For field camcorders, it is impossible for the important functions to be easily and fast accessible. The Sony PXW-FS5K ensures that you do not miss any important moment waste any time by providing you with special tools to ensure that shooting parameters are easily changeable. 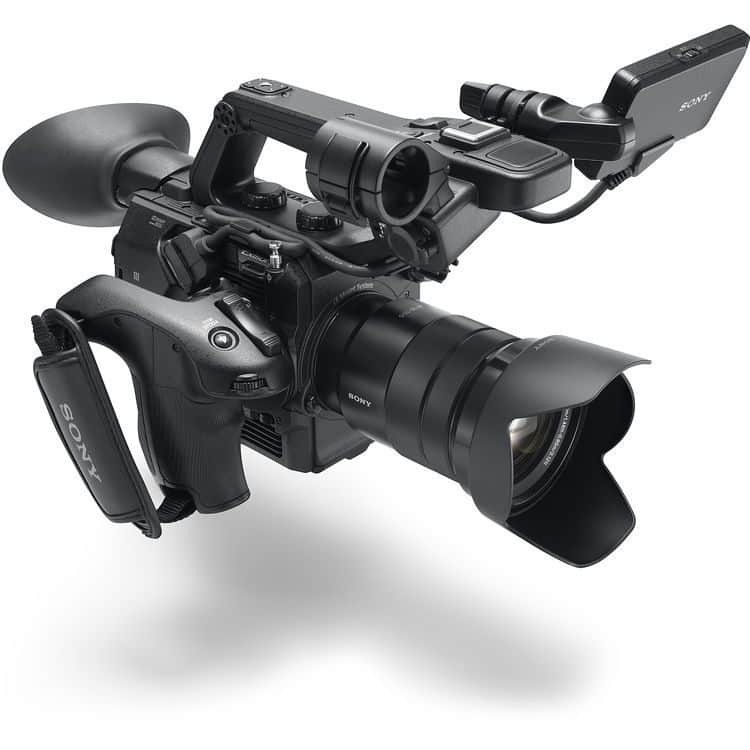 The camcorder’s Smart grip is located as close as possible to its center to ensure that the camcorder does not roll during shooting. You can also use a grip belt for total security and with a bayonet connection, detaching the grip is fast and easy. The Sony PXW-FS5K comes with exceptional sensitivity, and this makes the camcorder as useable past sunset as it is before. Coming with a highly-sensitive 4K Super 35 “Exmor” CMOS Sensor, users get a combination of benefits of using large format sensors and also Super Slow Motion and great readout speeds that go with 4K motion-pictures. The camcorder shoots high-quality recordings at 100Mbps 4K and shortly, users can expect to use the camcorder in recording RAW in external storages. 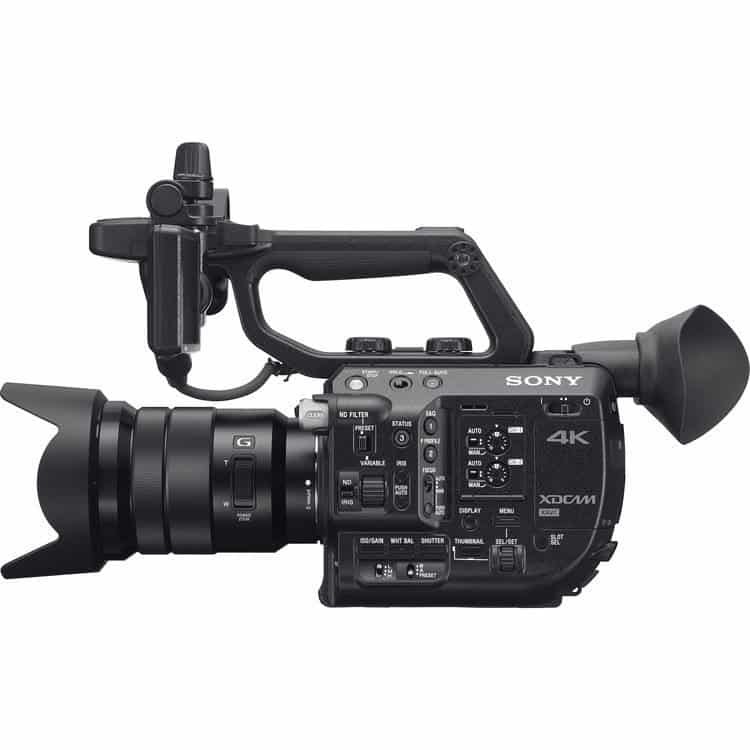 This makes the Sony PXW-FS5K a great working solution for today and tomorrow needs. With the Sony PXW-FS5K’s E-mount flexibility, users can use different lenses such as cinema and SLR lenses and a third party adaptor. This makes the camcorder economical for future use as the main body can be attached to latest lenses and still be useable. This camcorder model delivers an exceptional 240 frames per seconds (fps) slow motion recording in Full HD XAVC 10bit 4:2:2. The best thing about this camcorder is that it does so without sacrificing important aspects such as crop factors, angle view and bit depth of the sensor to achieve the 10x Super Slow Motion feature. Trust me these are the best combination of gear that offer you the greater shot.